Krolevets. Ukraine. Hotel complex "Master and Margarita"
Krolevets. Hotel complex "Master and Margarita"
Krolevets, Sumska, Ukraine - Hotel "Master and Margarita". 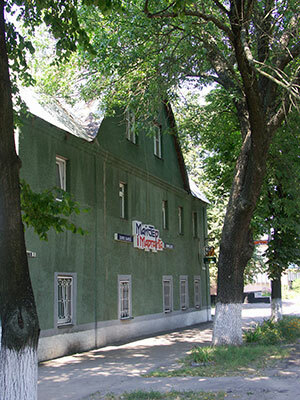 Hotel complex "Master and Margarita" is situated in the centre of Krolevets. Complex consists of Hotel and Car Service Centre, that are on the same location. There is also a cosy cafe, where you can relax and dine. Reparation of engine, wheels, electrical equipment, chassis. Service on all car types; ordering car spare parts. Service costs - 150 UAH per hour.